Clayton School District and the City of Clayton agreed to develop a new joint-use facility for the Clayton residents and students. 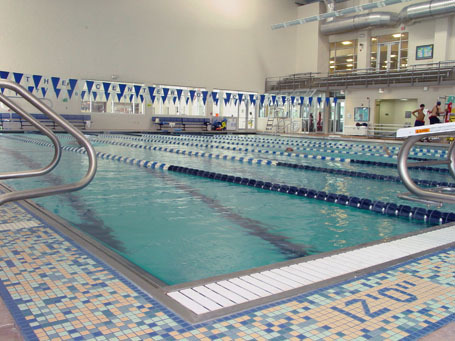 This multi-purpose facility, located next to Clayton High School features a community center and an aquatics center featuring an indoor eight lane, 25-yard competition pool and an indoor leisure pool, which features a spa, waterslide, water vortex, current channel, two fitness lap lanes and a waterspray. The competition pool hosts programs including water exercise classes, diving lessons, SCUBA lessons, and lifeguard training classes as well as Clayton High School classes, swimming meets, water polo games, and diving meets conducted during the year.